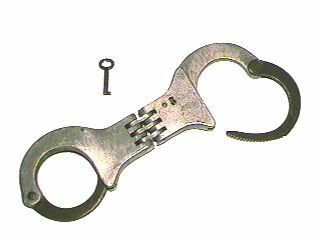 These hinged handcuffs use a small multi-bit key to unlock and double-lock (by turning in opposite directions). They are constructed of aluminum (blackened on the bows). The keyholes are on opposing sides.